Buying or selling a used car in Las Vegas can be a prickly business. But it’s a lot easier than it used to be. Your best tools are Kelley Blue Book, CARFAX, Edmunds, and Craigslist. You should also understand what a “rebuilt title” entails, since more and more of these cars are popping up on Craigslist. Do your homework, otherwise you’re sure to be swindled! Before I cover private party sales, which I think is your best bet, I will explain my resistance to dealerships, except for Certified Pre-Owned (CPO) vehicles. If you’re already sold on the idea of private party sales, and can’t afford CPOs, then skip way down to PRIVATE PARTY SALES. Certified Pre-Owned: if you can’t afford a new car, but can afford a low mileage car (10-30K) and dealer fees, then CPOs are great. Of course, first research Kelley Blue Book (KBB) and do your homework. You will still have to negotiate dealership tactics. One point in their defense: you can see more cars in a short period of time. If you don’t mind paying an extra $1,000-$3,000 extra, then have at it. You’re rarely going to get a Kelley Blue Book price, since there will be dealership fees and taxes. I’ve checked over 25 different cars on KBB price versus the dealership price, even after they give you their best offer, and their price is always at least a thousand more. If it isn’t, there’s probably something hidden. Next, things haven’t changed all that much since the movie Fargo and all the jokes & jabs about used car salesmen as shysters. Just new polished methods. Unfortunately it’s the nature of their business, especially since they’re working off commissions. They make more money for their lives (and families) the more you get screwed, so there’s little stopping them except ethics and morals. (Pause for laughter.) They’ve also created various complex methods for taking you down a certain path. A friend of mine said it well: “Some manager in the back room has decided how the entire experience will go, from your first step onto their parking lot to the signing of the papers. And if the salesmen stray from this framework, they lose money or get fired. Thus you’re basically handcuffed.” Yes, you must follow their system, or walk away with the appearance of rudeness, which many people are uncomfortable doing. Another way to describe it would be entering a river with a swift current, and even as you backpedal with your hands or legs, it sweeps you downstream. Recent Example: I step onto said dealership. It’s clean and nice-looking and in a good part of town. I’m looking for three potential cars, Chevy Malibu, Nissan Altima, and Hyundai Sonata, with around 40-70K miles. My budget max is 15K. This particular dealership only has one of my preferred cars, the Malibu. I know this going in. A salesman greets me and quickly ushers me into his store. I try to tell him what I’m looking for, and point towards a few Malibus he has out front. He ignores this, but acts very courteous as he leads me into the store and offers me a drink. I again try to head out the door, but he says please have a seat at my desk. So I sit down and try to explain what I’m looking for. He’s having none of this, as he politely pushes a survey across his desk for me to fill out. The survey wants to know my car habits, likes and dislikes, past problems with cars, as well as fill out my personal information like email and phone. You can see where this is going. Basically it will be a tool to have my contact info for later solicitation as well as talk me into the particular cars on his lot. He agrees but a bit nervously, as if I’ve broken a sacred rule. Or maybe the backroom boss will penalize him for not following procedure. He immediately takes me to something a thousand or two thousand over my stated budget. I again reiterate my budget, and say that needs to be “out the door,” so including taxes and dealer fees etc. I don’t need to keep writing, right? This kind of behavior continues in almost every aspect of his attempted sale. How about just listening to the customer, and matching him with potential legitimate sales? Nope. Once I show disinterest in a car, he immediately pumps up another car for different reasons than I’ve expressed wanting a car in the first place. I trust nearly nothing he says. I finally squirm out and drive off his lot. Similar experiences continue at other dealerships. Women sales staff seem to focus on my appearance, and say I would look great in this car, or how “muscular” and “powerful” this car is. Does this really work on some guys? Overall, dealerships have come up with new language and new techniques and new forms , but in essence it’s not that different from my first car shopping experiences over twenty years ago. Rushed and shady. And yes, some of today’s dealerships say they’ve taken all the haggle out of the process, and offer you great prices from the get go. Well it’s an improvement, kind of, but there are still taxes and fees and lots of odd little things that get tacked on. And then there’s the detailed system, as I mentioned, that you are swept through. Designed to extract every last dollar from you. Even if you only leave your email and phone number, expect lots of spam and multiple calls over several months. And how about those flyers you receive in the mail, saying you’ve won something for sure, once you scratch it off. You’ve won, in the very least, a “$50 Buffalo Tribute Coin,” with .999 fine gold showing in the picture. Tribute coins mean they can make it out of scrap metal and put a false appearance on it, in “tribute.” Again, do I need to keep writing? It’s just another gimmick to get you in the door. Snake oil. Pills and powders. Even worse, it puts you in this agitated or titillated state, like casinos often do, to lure you in with their promotions. I’m telling you, MIT folk and millions of dollars have designed all this, with bigger brains than ours. (Note how the “gambling industry” is changed to “gaming industry” to soften it and sound better.) Just avoid them if you can. Last note, they will tell you nearly anything to get you rolling into their process, whether it’s a great interest rate or no problem with poor credit or we can get it into your prescribed budget, etc. But once you’re at the end of the line, facing the accountant in the back room, who’s all numbers, all business, masterfully-connected to the bank lenders, and wears important-looking glasses, those promises vanish like a desert mirage. This person will provide all the big reasons they can’t do the original promise, which will sound official and understandable, and given that you already spent so much time there and this deal is sure to slip away soon, you better take their offer!! Really, I could go on and on with examples. CPOs have good potential, as mentioned, but do your research and be prepared for monkey business. But let’s get to the good stuff, where you can get a great deal, or at least a fair, just deal. 1. Look for clean titles. If it doesn’t say “clean title” in their Craigslist description, it probably isn’t. 2. Use Kelley Blue Book, and use it well. If the person’s price is inflated, go through Kelley Blue Book with them on the phone or in person with your phone. Only takes seconds. If they dismiss KBB as inaccurate or not a backbone of car sales, THEY ARE WRONG. And sellers love to say their car is in excellent condition. Read KBB info carefully. Only 3% of cars meet this criteria. 3. 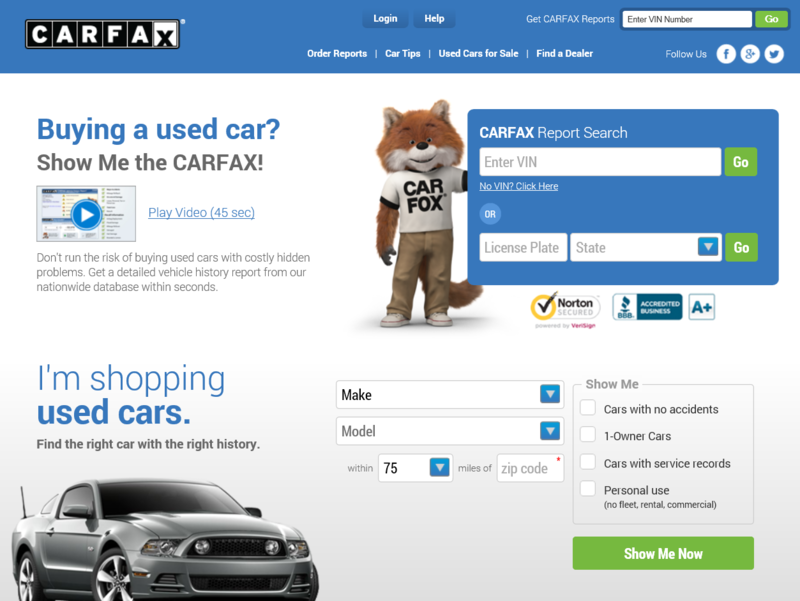 Spend $50 on a CARFAX membership, which gives you 5 searches with VIN# and unlimited searches with License Plate. Auto Check is solid, too, though I prefer CARFAX for its easy colorful layout. Spend a few minutes reading carefully all the content. It will save you hundreds if not thousands of dollars. c) used in fleet as rental – generally avoid if you can. We all know most people don’t give a fiddler’s fart about rental cars and drive accordingly. However, if everything else is good, you may have to make this concession, since many used cars on the market were once rentals. The good news is rental car businesses are required by law to keep up dealer-recommended maintenance on their vehicles. d) Obviously the fewer owners the better. e) Liens are bad, doublecheck that the car is paid off! If you have any doubts, but everything else about the car is awesome, have the person accompany you to the DMV (that will make for a fun afternoon). f) Lots of service records are usually good, and indicate proper maintenance. But look over what the services are for. g) Repeated failed emissions records can indicate engine problems and you should probably have the vehicle professionally inspected. But who wants that hassle? Best avoid. 4. Avoid Rebuilt Titles, especially in Las Vegas. The deals look too good to be true — that’s because they’re not true. Generally, they are cars that have been totaled in bad accidents and insurance companies have written them off as a total loss. Then a car shop, or in rare cases an individual, makes it their business to rebuild them, then get them deemed safe and roadworthy by inspectors or the DMV. Yet, there are all kinds of problems with this industry, just Google it. Lots of cars slip through the system and may still have serious structural problems. In other cities, maybe 10-20% of car shops that make this their business are trustworthy. In Las Vegas, I would say much less, unfortunately. In Las Vegas many of these businesses are in bad neighborhoods and in decrepit shops that look like they could fall over if the wind blows. Or they could pack up in five hours like the circus and skip town. 5. You’ll find some good people and good cars out there, who have legitimate reasons for selling their cars, and it may be an awesome match for you. You will also find lots of blurred lines; not as bad as the dealerships, but still, it’s human nature to stretch the truth or white lie, especially when it means more money for that individual. People won’t tell you about a few things wrong with the car. So again do your homework. 6. Give credit to people who’ve taken the time to provide several clear pictures paired with a coherent, detailed writeup. Such care is often indicative of a good car or well-maintained car, and good business. 7. If possible, check out your car in the daytime, or at least in the lot of a well-lit establishment. 8. Check out your car carefully, this includes: tire tread, any dings and knicks, AC, window function, seat function, trunk function, etc. Drive the car on the freeway if possible. Listen for stuff…don’t overly talk with the person as it will distract you. You don’t need to be ashamed of this inspection, or worried it will insult the seller. It’s simply smart and understandable business. If you’re really interested in a car, bring a friend with you to review it and the seller. Two heads are better than one. 9. Research the cars you’re interested in. Edmunds.com is solid. Also note, there are many BMWs, Mercedes, and Jaguars on Craigslist. 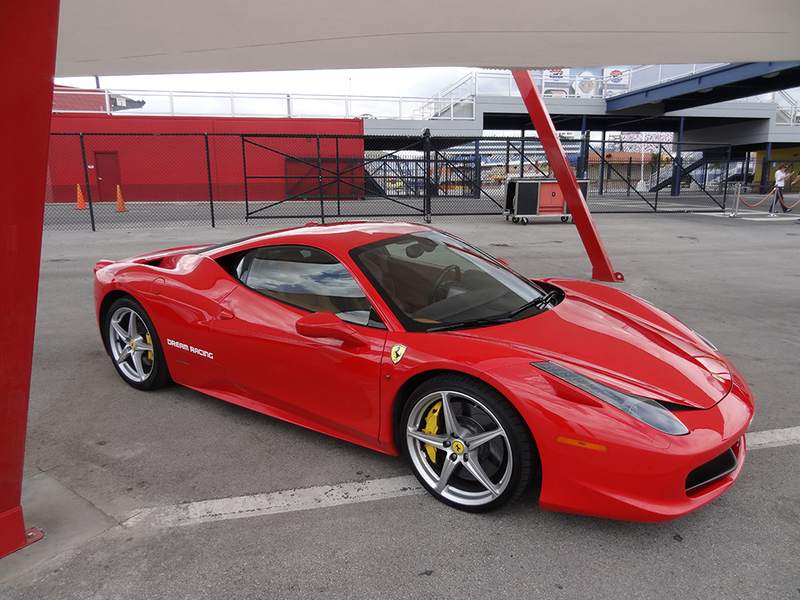 You have a chance to own a luxury car at a low price. 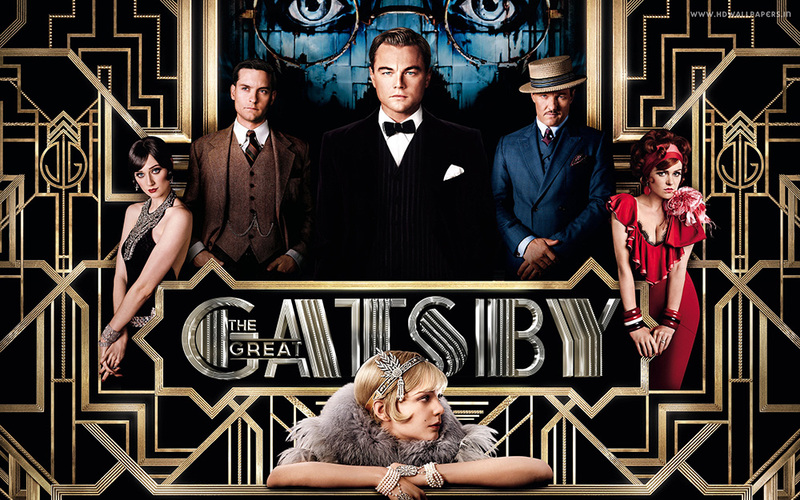 However, you should know the upkeep on luxury cars is equally luxurious, as in you pay a pretty penny! And Jaguars, for as gorgeous as they look outside and inside, are notorious for having mechanical problems early on that will drain your bank account. 10. Obviously it helps to have patience and the time to look. Sometimes circumstances aren’t favorable to this. In the least, use Kelley Blue Book and CARFAX like bibles, and you will be fine. 1. Take your time with your Craigslist posting. Put in clear pictures of the car, from several angles. Write a detailed description, including it’s Carfax and KBB. If you’re higher than KBB, give solid reasons why. All of this will not only attract buyers, BUT ATTRACT BETTER BUYERS. They won’t waste your time as much. And if they are car-flipping, shady low-ballers, they will often avoid you, because they can see you’re an intelligent professional who’s not in a hurry. If you can put links in your post, even better! Links to KBB, edmunds, or flattering reviews of your car. 2. Take your time with your buyers on the phone. Don’t be in a rush to invite them to see the car…if they aren’t a good buyer it will waste everyone’s time. There is little more tiring than showing your car to ten people in one day. 3. Ignore all emails, texts, and phone messages of low-ballers. They do what they do, just avoid them. You need your energy for the good buyers. Now, if you’re in a desperate situation and need to sell fast, then you may have to take all inquiries. In this case, your detailed write-up with clear pictures is even more important! 4. You can repost your Craigslist ad every three days, so watch for this. New buyers are looking all the time, every day. 5. 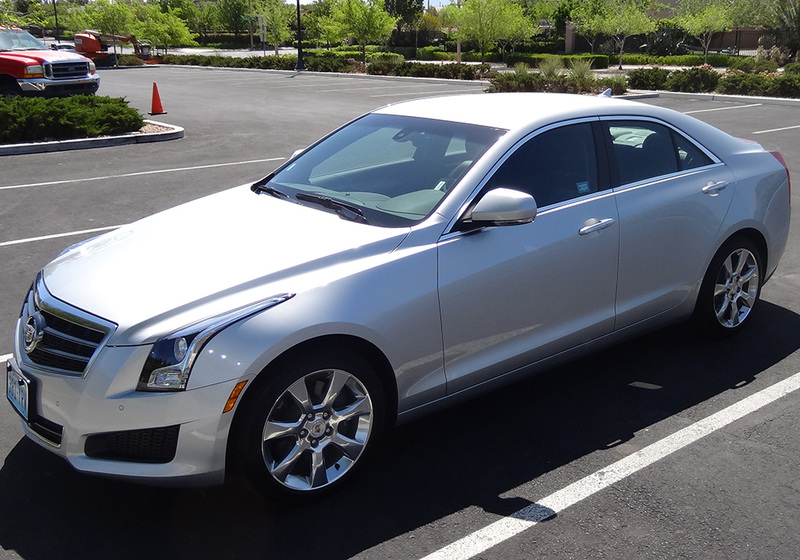 Spend the money to have your car professionally vacummed and washed at Fabulous Freddy’s or similar place. The $35 is well spent. People often make a decision when they first see the car, as a car is not just practical but an emotional experience too. People want to like, feel good, and look good in their cars, and a presentable, clean car helps this process. 6. Try to size up your buyers quickly. Note the questions they ask and things they look for. Undoubtedly some people will consume your time then still low-ball you, or try and nitpick your car down to a low-ball price. If you priced your car fairly, and/or gave good reasons in your write-up for its value, then such behavior is unwarranted. If you see it going in a bad direction, just be polite yet firm and curt, and try to end the showing quickly. 7. Sometimes, you will have opportunities to hide things or get more money than you should. Is that really how you want to make your money? Would you want that done to you? As mentioned, the car buying and selling business can be inherently nasty, best rise above it!